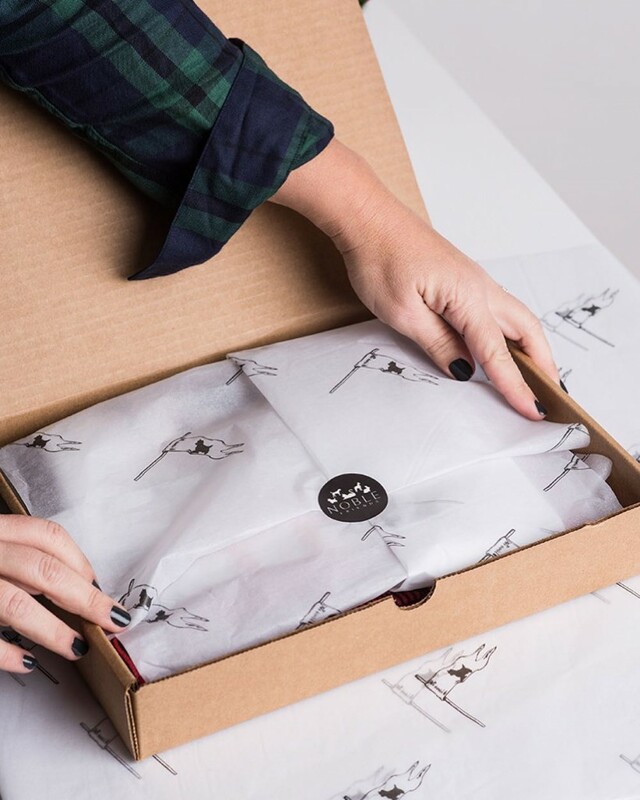 Eco-friendly wrapping is a big sustainable step. 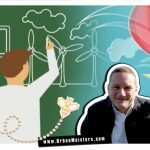 Not just for our personal journeys into green living, but also for retail businesses that depend on immense quantity of wrapping material for goods. We’ve spoken to you before on the issue of wrapping waste especially during the Holidays. Now think about wrapping used in packaging of consumer goods you buy from clothes, food to gadgets and everything in between! With e-commerce booming we’re officially drowning in packaging waste! It is estimated that if 1 e-commerce package weighs 200 grams on an average, the total weight of the 20.6 billion parcels sent in China alone in 2017 will amount to around 4.12 metric million tons! Enough to cover more than 200,000 soccer pitches and the tape used to wrap these parcels would circle the Earth more than 300 times! So why don’t we recycle? Why don’t businesses recycle? You see by design wrapping paper is for single use mostly. Partly due to the materials they is made of-non-recyclable because they’re often dyed and laminated. They can also contain non-paper additives such as gold and silver colouring, glitter and plastics; and often has sticky tape attached to it. Fibres used in the cheaper wrapping paper are not strong enough to recycle. So landfills it is! We had earlier presented a sustainable award winning e-commerce packaging solution brand- RePack which enables e-retailers to re-use packaging once customer returns it. Here we are with another solution for all sustainable startups and even mainstream retailers on eco-friendly wrapping for your products. For a green start-ups the whole consumer experience and every service should express brand values of sustainability. Often companies think that this is not possible when budgets are tight and they compromise on some aspects- packaging and wrapping being one of them. They believe sustainable packaging and eco-friendly wrapping is unattainable also from the point of view of design and aesthetics. 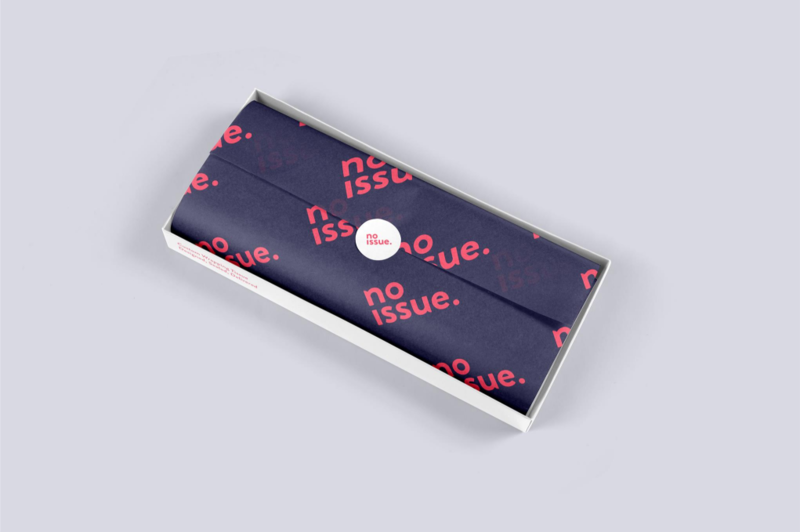 Well we’ve spotted the perfect solution for all your wrapping woes- eco-friendly wrapping by noissue. 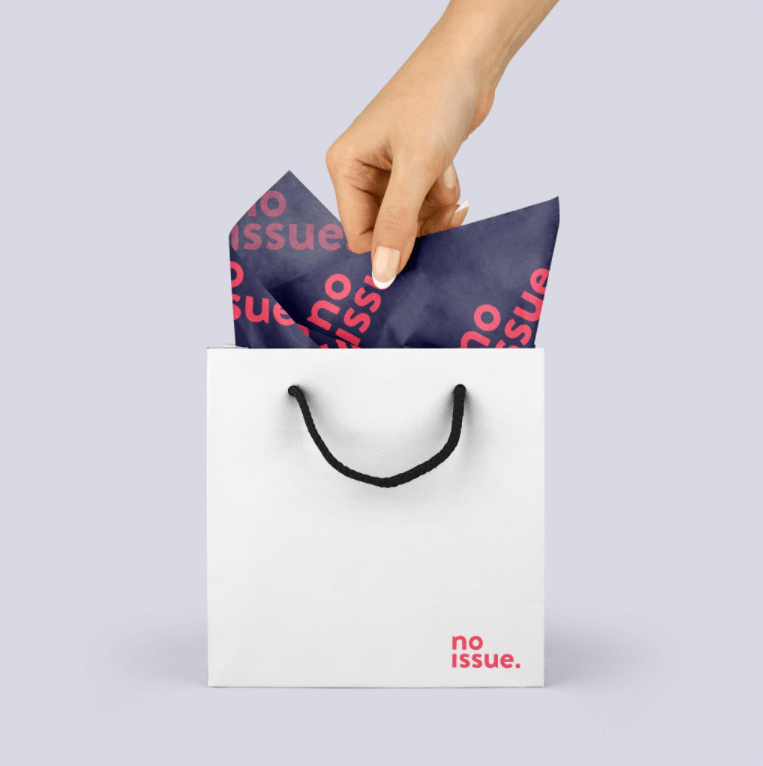 Above: A happy business owner and user of noissue eco-friendly wrapping points out how important packaging is and how it should reflect the business ethos to the consumer. Also read our selection of green business related articles at the end. 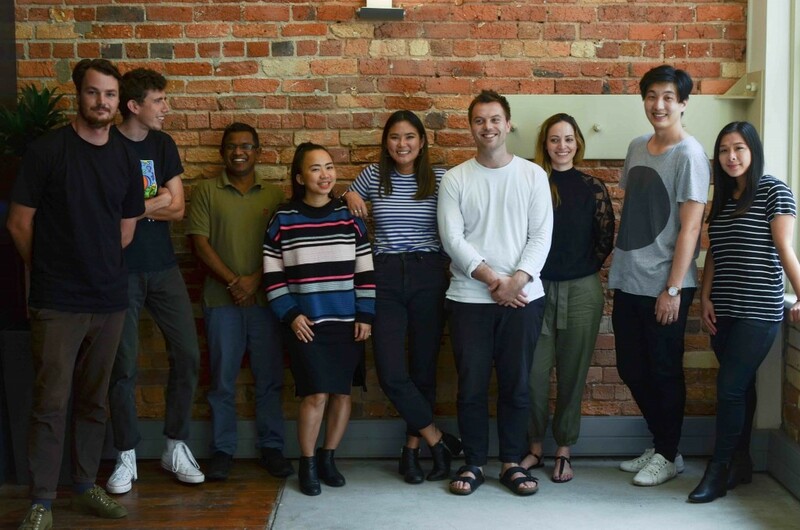 Let’s hear it from the team at noissue! Can you share with our readers the impact of wrapping / packaging waste? In the production and manufacturing side of packaging, waste product is created when companies don’t take the time to walk each order through the printing process. This leads to waste generated by error, carelessness, or even a lack of interest in reducing waste. Because chemicals are cheaper than natural solutions, these waste products are typically fairly difficult to recycle. The first step in reducing this waste is to take time with each individual order. And right up there with that is making conscious, eco-friendly, sustainable decisions for your business. 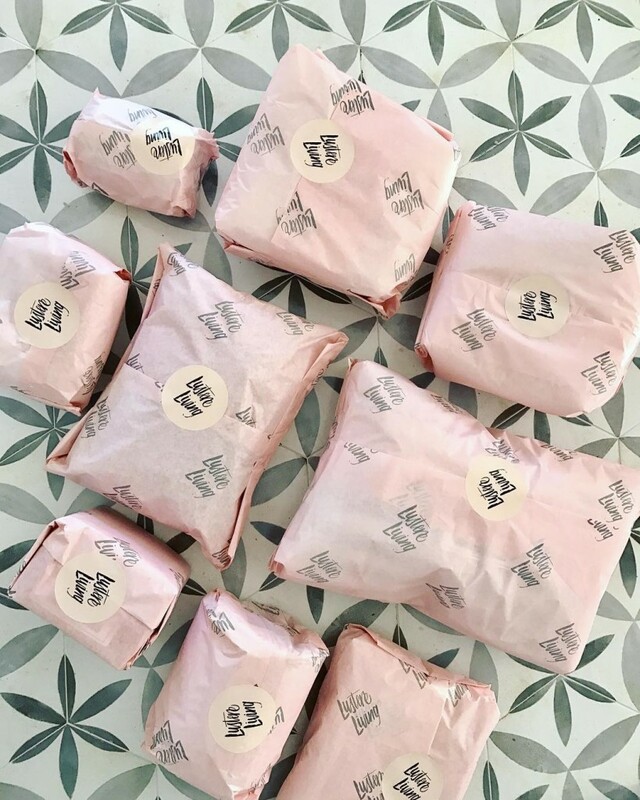 What all materials do you work with and how else do you cut waste in your eco-friendly wrapping? All of our ink is soy-based and our tissue is completely acid free and FSC Certified. Soy ink is a kind of ink made from soybeans. As opposed to traditional petroleum-based ink, soy-based ink is more environmentally friendly, and makes it easier to recycle paper. ‘FSC’ stands for Forest Stewardship Council, an organization that works to promote the practice of sustainable forestry worldwide. The Forest Stewardship Council ensures customers have the option to choose forest products like paper and wood that have been sourced in an environmentally-friendly, socially responsible and economically viable manner. Acid-free paper is paper that is infused in water yields a neutral or basic pH (7 or slightly greater). It is also lignin- and sulfur-free. A big part of cutting waste for us stems from the design process. We want to ensure that our customers are fully supported along the way so that when the tissue goes to print, it is the final product. Waste happens when reprints are required or the process gets sloppy. We work tirelessly to make sure that when the tissue gets printed and shipped, it is exactly what the customer wanted. 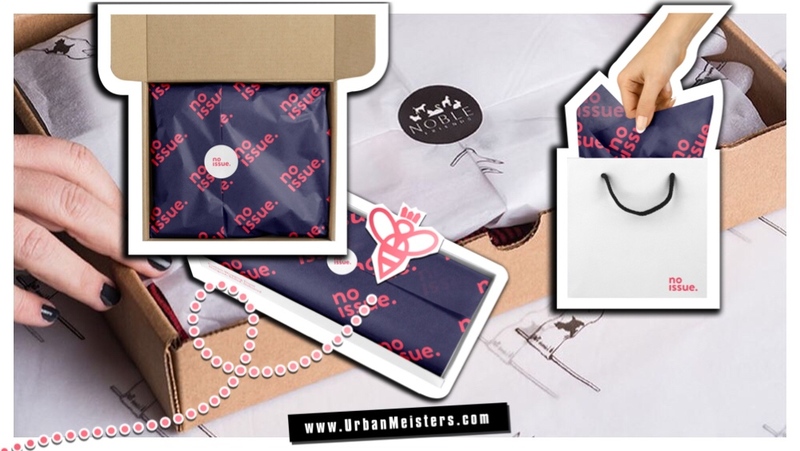 Is noissue eco-friendly wrapping only for B2B orders? Or can regular customers also use noissue? 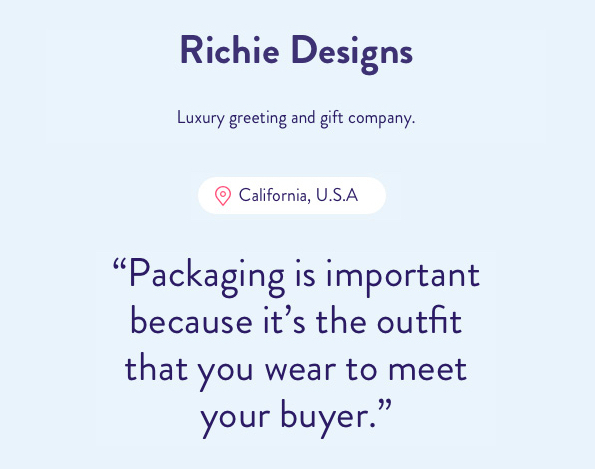 Part of the fun for us is that anyone can use the tissue–we have large clients ordering 10,000+ sheets per month to fulfill their packaging needs and we also have online Etsy and Shopify vendors who are using the tissue to put the special touch on their product, or wedding planners who are customizing their client’s invitations or gifts. Since our delivery timeframe is two-three weeks and we offer free express shipping to all orders, it makes our service an attractive option to anyone wanting a personalized experience for any product/event. 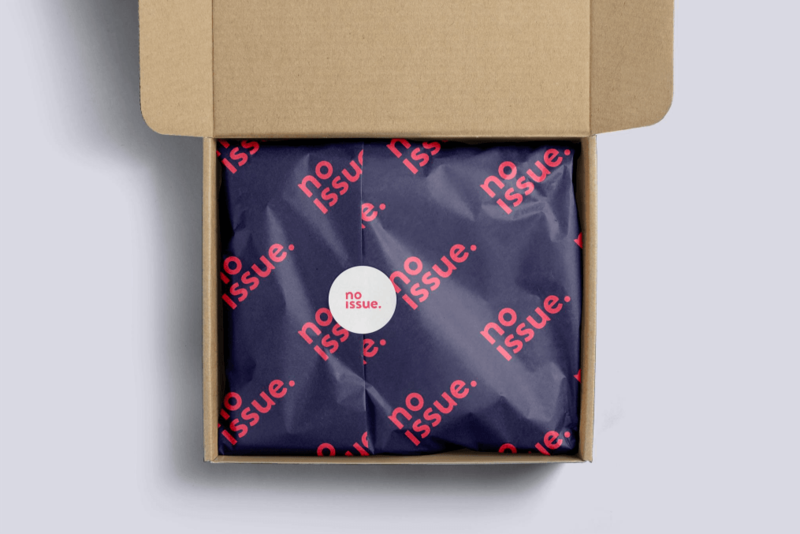 Is noissue only for wrapping or also other stationary requirements? 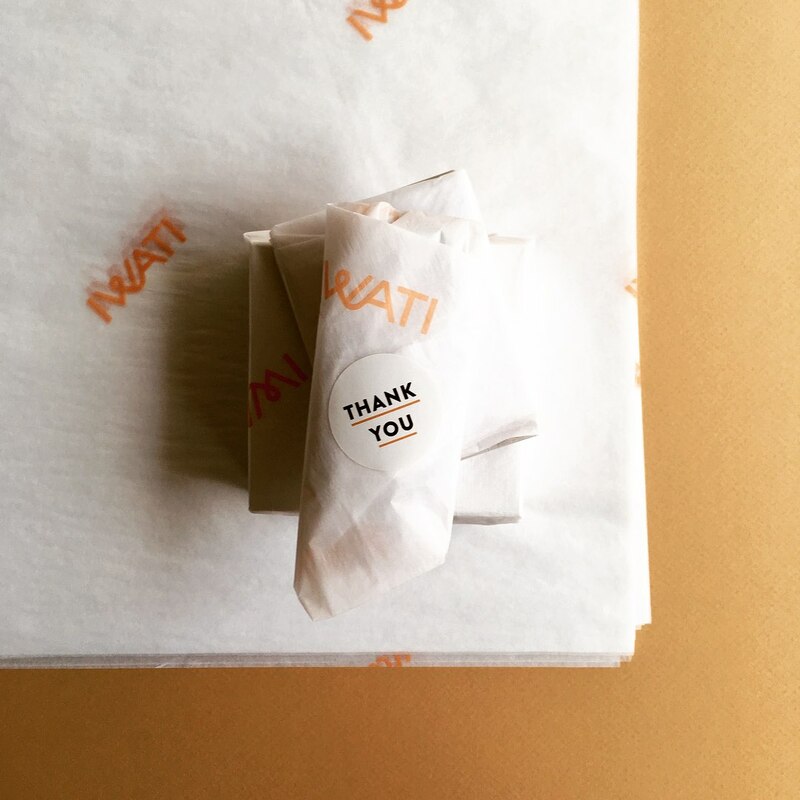 Since we print exclusively tissue at the moment, having just added a new size, we predominantly see customers use it for wrapping products, invites, flowers, and the like. 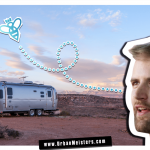 We’ve also seen people get pretty creative with it–artists who use the custom design option to create beautiful prints, a paper flower company using it in paper art, and even a few food trucks who have used it to put their branding right in front of a customer while they’re eating! 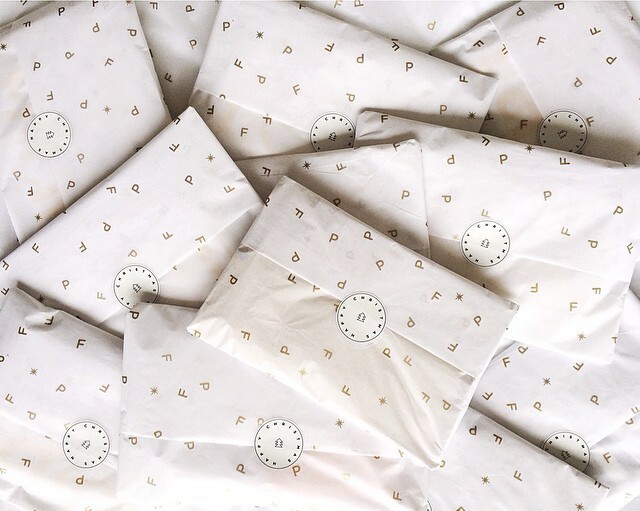 What happens in case one is unsatisfied with the finished wrapping sheets? Do you share samples beforehand? We do our best to make sure that the customer is fully aware of what the product they’ll be receiving will look like ahead of time. We keep a stock of past tissue prints that we’ve run that we send out as samples beforehand if a customer requests them. Keeping the process online with a full support team reduces the need for reprints dramatically. However, in the event that a customer is unsatisfied with the finalized product, they can return it (on us!) and we’ll make sure that they get exactly what they wanted in the first place. 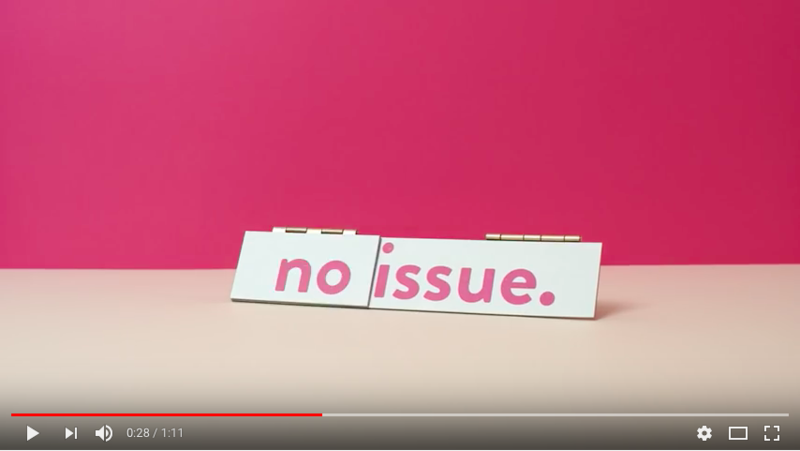 What are the next plans for noissue? We’re slowly moving into other elements of packaging that we think match with what we already provide–the perfect example of this would be custom stickers. It takes time to develop the printing process and to make sure that what we’re printing on is sustainable, but in the end that due diligence is well worth it! 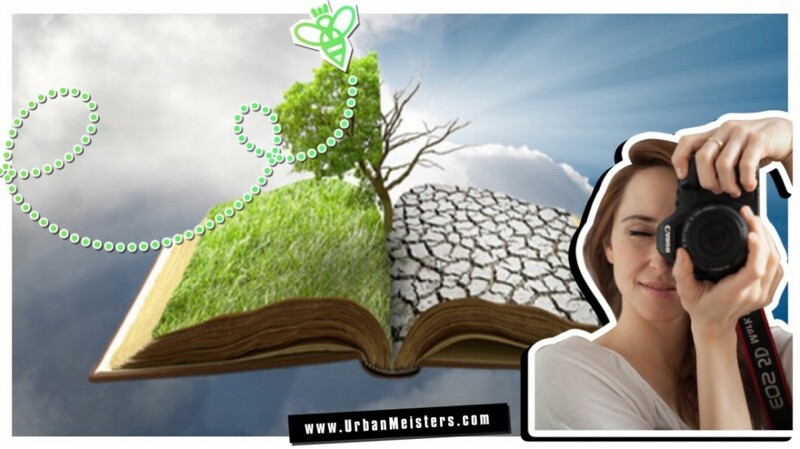 UrbanMeisters has a special series- Eco-Preneur Guide- dedicated to sustainable start-ups and ‘eco-preneurs’ as we call them, where we give green business solutions, tips and services for aspiring social entrepreneurs or start-ups. Here are some business solutions that may be of help to you if you are a green business owner. 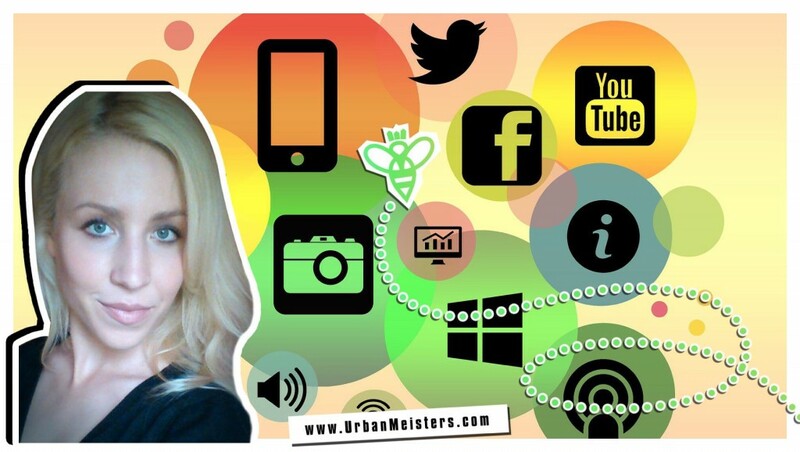 [MARKETER’S GUIDE] HOW TO DEVELOP SUSTAINABLE MARKETING MATERIAL?